Oh my.. Another rainy day and it seems like Annabel is somewhat complacent and a little over her toys and needs a change of scenery. Yes… Ants in her pants.. So it doesn’t take much to twist my arm to get out and about for some fresh air and some SHOPPING! It’s almost turned into a bit of a sport for me. Plus I’m in love with kids toy stores. The range and quality of toys these days is amazing! I’m a little obsessed by wooden today too. Not a huge fan of the plastic invasion that seems to be occurring. Plus I like a toy that isn’t fully mechanical, colorful and automated. I’d much prefer that Annabel used her imagination with the toys and made sounds herself and mixed and matched random toys to make her own games. Anyway, I found myself at one of the cutest kitch kids shops very sweetly named Ottie And The Bea. I always find the service impeccable as the owner Julia is attentive, charismatic and has a memory that totally amazes me. She always remembers my kids names and what toys we’ve purchased in the past. Mind you..I’m in the store regularly these days. But you can’t blame me. So I was searching for something to help with Annabel’s hand-eye coordination, speech and memory. 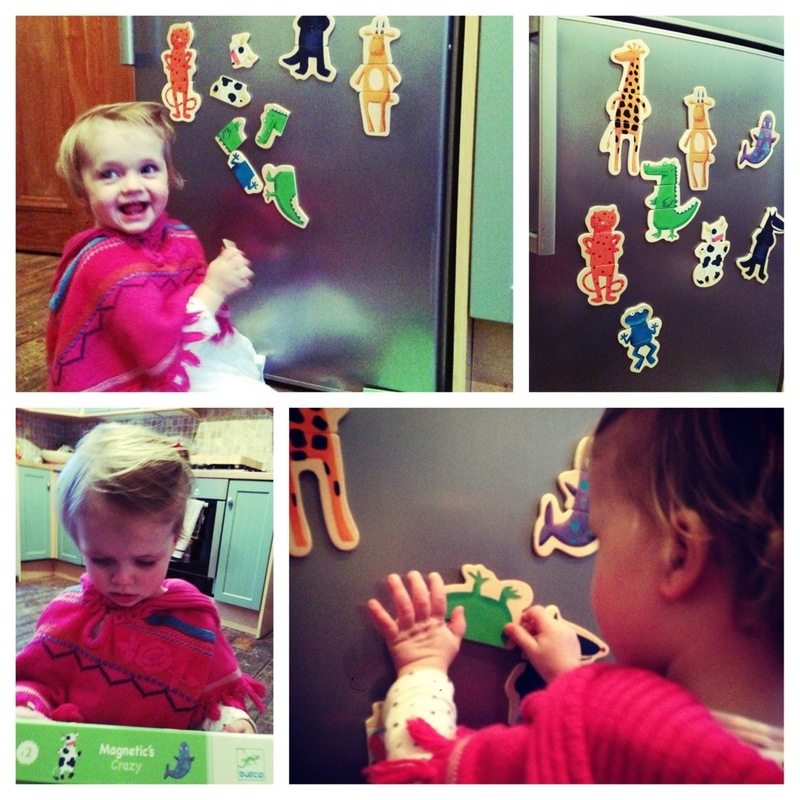 Julia came up with a Djeco magnetic animal puzzle. Perfect! Lets just say that Annabel hasn’t stopped playing with it all day today. That makes for a very happy daddy! Time for a coffee and a book.. Oh and some much needed time to spend with my little boy, Lachlan. So, all up, everybody wins!! Now back to my book.. This entry was posted in Super Daddy and tagged activities, Djeco, ottie and the bea, play, rain, spring, Toddler by whysamiam. Bookmark the permalink.